Medieval castles, which have survived on Ukraine’s territory and serve as a vivid illustration of its turbulent history, are reckoned among the most attractive sights in the country. Age-old fortification complexes, which are mostly concentrated in the western region, attract not only with their monumental architecture, interesting history and fascinating energy properties, but also with a kaleidoscope of captivating legends. 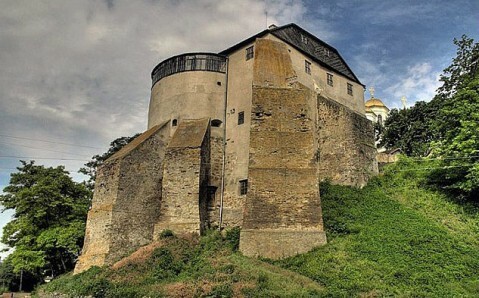 We’ve selected five Ukrainian castles that are associated with the most impressive legends. 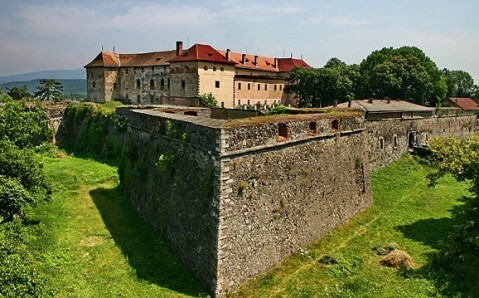 Uzhgorod Castle is one of the oldest and most majestic fortification facilities in Ukraine. Its history is tightly connected with Hungarian magnates of the Druget family who owned the castle for more than four centuries. The fortress became truly impregnable and acquired its most famous legend during their rule. 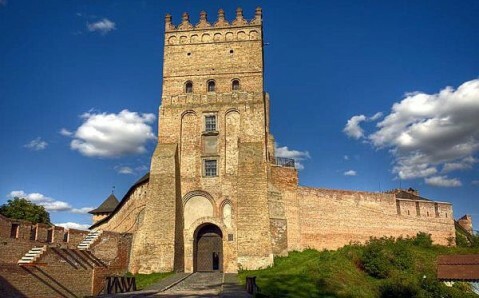 The story goes that once upon a time, a Polish voivode decided to conquer the Uzhgorod castle. He made an incognito visit to the city and got to know Count Druget’s daughter, who was renowned for her extraordinary beauty. She has lost her mind because of her love to the stranger and told him all the castle’s secrets. When the father found out about daughter’s betrayal, he ordered to immure her alive in a fortress wall and to execute the voivode. According to the legend, girl’s sole wanders about citadel’s corridors seeking salvation ever since. 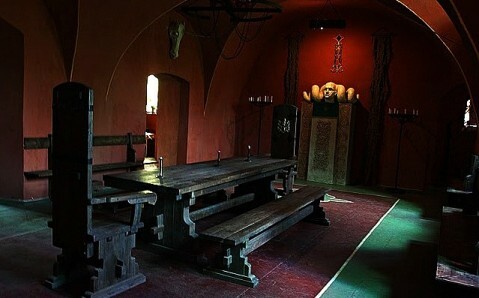 Palanok Castle of Mukachevo has prepared two legends for its guests. One of them is connected with the 85-meter-deep well, which can be seen in the courtyard of the medieval castle even now. It is said that the well was dug for a long time, but water failed to appear in it. Then, devil came to castle's owner – Podillia Prince Fedir Koriatovych – and offered a deal: water in the well in exchange for a sack of gold. Having no choice the prince agreed. He was in financial straits, though, and decided to use cunning: he gave the smallest sack with two coins to the devil. Vexed devil grabbed money and jumped into the well. It is said that his offended howl can be still heard from there. 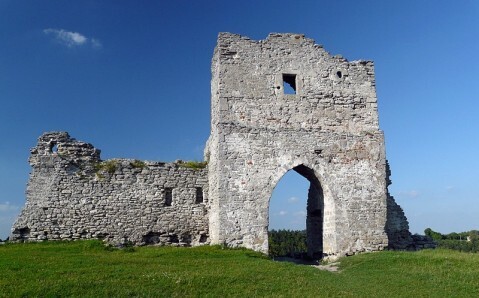 Another Palanok Castle’s popular legend is tightly connected with the name of the Countess Ilona Zrini, who was in charge of Mukachevo castle’s defense during the siege by Austrian troops. Once, during another attack by the enemy on the western slope, the countess, who in addition to her extraordinary courage was famous for a rare beauty, came out on the bastion of the upper fortress surrounded by her loyal soldiers. The Austrian general, who was preparing his troops to another siege, saw the charming Zrini. Being stunned, he ordered to stop the attack, saying that he won’t fight against such a beauty. Built in the times of the Kyivan Rus, the Kremenets Castle is known as the only fortress that survived the onslaught of the Mongol invaders, in 1240. However, when people mention it, they usually think not about this fact, but about the unordinary personality of the wife of Poland’s king Sigismund I. The Neapolitan princess Bona Sforza owned the castle for 20 years. It is with her that the multitude of Kremenets Castle’s legends is connected. The most widespread one claims that Bona Sforza hid her treasures on the Zamkova Mountain, and now every year, on Easter, her ghost wanders among the fortress ruins. It is said that whoever dares to kiss Sforza’s ghost will be able to take the key to the treasure chamber from her lips. But remember, the door opens with the first stroke of the Easter bell, and closes with the last one. If one does not come out in time, the ghost will claim this unlucky person for her own. The same as any other decent medieval fortress, the Lutsk castle has its own legends; moreover, it is one of the oldest castles in Ukraine and in the whole Europe. One of its legends tells the story of Lithuanian prince Lubart’s (citadel’s owner) tragic love of the beautiful Oksana, who did not love him back. The prince ordered to imprison the defiant girl in one of the castle’s towers, and to keep her there until she agreed to marry him. After another denial from Oksana, he ordered his soldiers to kill the rebellious beauty. Since then, Oksana’s ghost has been seen in the castle on several occasions. It is said that the girl's soul will rest in peace only when she recovers her ring, which was taken by one of her killers and sold on the market. 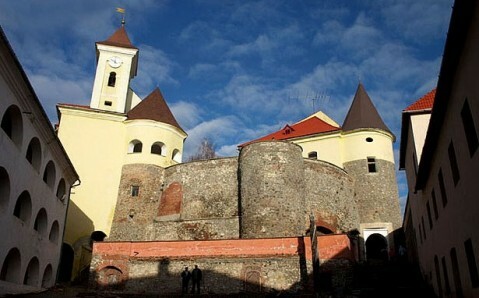 The best-known legend of the Ostroh Castle is connected with the princess Galshka of Ostroh, who was considered to be the most beautiful, smart and noble fiancée in the Eastern Europe of her time. Her uncle, Vasiliy-Konstantin, gave her in marriage to his relative – a powerful magnate, who held office in the Grand Duchy of Lithuania – against girl’s will. During the wedding ceremony, which took place in the Epiphany Cathedral, a storm suddenly began: bells started to ring disturbingly, candles and oil lamps went out. The priest who conducted the ceremony saw it as a bad sign and wanted to stop, but the Prince Vasiliy-Konstantin insisted on continuing. Having become a wife of a man she did not love, Galshka jumped from the balcony that night. She didn’t die, though. The wind picked up the girl, and her ghost is said to wander around the premises of the Ostroh Castle on a moonlit night ever since.